Every now and then something or someone grabs our attention and we want to share it with you. Perhaps no one else has ever faced as much hardship, opposition, or relentless suffering as the apostle Paul. And yet, through it all, Paul stood firm in Christ and remained faithful―to the very end. The power of Paul’s example has captivated veteran pastor John MacArthur for years, and here he outlines nine unwavering convictions that contributed to this remarkable perseverance. In an age when pastoral failure and burnout are increasingly common, this book is a call to endurance in ministry, encouraging pastors to stand strong in their role and not lose heart, regardless of what God sends their way. John MacArthur is the pastor-teacher of Grace Community Church in Sun Valley, California, where he has served since 1969. He is known around the world for his verse-by-verse expository preaching and his pulpit ministry via his daily radio program, Grace to You. He has also written or edited nearly four hundred books and study guides. MacArthur serves as the president of the Master’s Seminary and Master’s University. He and his wife, Patricia, live in Southern California and have four grown children. It seems only right that a book bearing this title should come from the pen of one whose life and ministry exemplify such faithfulness. Here is a helpful, challenging, resounding cry to the rest of us to keep on! What are we to do in ministry when we encounter setbacks? John MacArthur presents nine reasons that the apostle Paul did not lose heart. This concise treatise is marked by gospel clarity and filled with timely observations. Accurate and honest, direct and encouraging, clear and plain, MacArthur has produced a portrait in words. As Paul reflects Christ, so should the faithful minister. Unintentionally, MacArthur here has written his own autobiography. 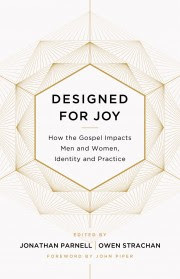 If C. H. Spurgeon could say of John Bunyan, ‘Prick him anywhere―his blood is Bibline,’ we can surely echo him: ‘Prick John MacArthur anywhere, and his blood is Pauline!’ In these pages, MacArthur gives us a power-packed guide for the times that instantaneously clears away muddle-headed thinking about gospel ministry. Remaining Faithful in Ministry is simultaneously as bracing as a cold shower in the early morning and as thrilling as the prospect of a glorious day of adventure. If it doesn’t make you want to be a more faithful servant of Christ, beware. As John MacArthur reaches his fifty-year milestone as pastor of Grace Community Church, this book is timely, appropriate, and greatly needed. Pastors today are facing enormous challenges from every side. Countless numbers are discouraged, and many are unable to persevere. Here is an invaluable reminder of the essential truths necessary for long-term endurance in gospel ministry. No one is better qualified to produce this material than MacArthur, who has lived the convictions of this book in one pastorate for half a century. Read this, embrace this, and you will be strengthened for the task that lies ahead of you! 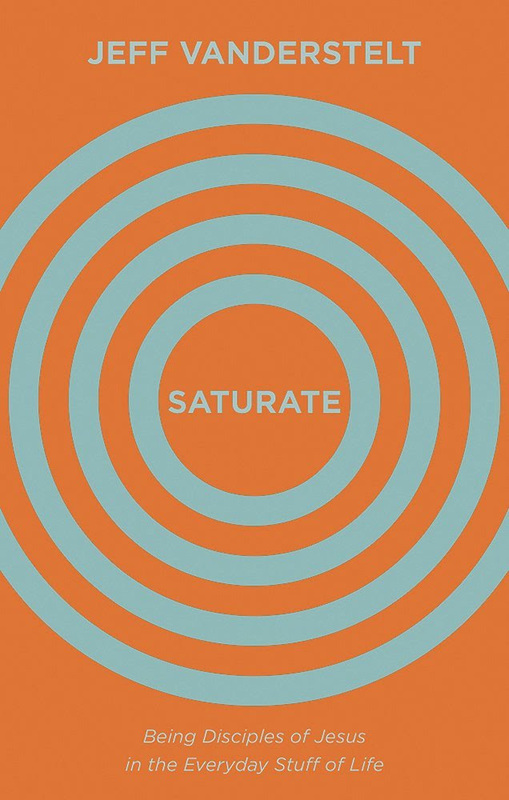 John MacArthur has done it again―just the right book at just the right time. A model for all of us in ministry faithfulness, MacArthur encourages all pastors in nine specific convictions that are absolutely essential for authentic ministry. This is a treasure of wisdom for pastors and a book that will encourage all true ministers of the gospel. It is saturated with deep biblical conviction and vast pastoral experience. Every pastor―and future pastor―should read this book, and every faithful minister will treasure it. The greatest need for Christians today is to stay faithful in an unbelieving world. We are thankful for John MacArthur’s steadying example and teaching. His insight brought from Scripture in these pages provides a message we continue to need this side of heaven. The Westminster Standards are more than 370 years old, and yet they are undiminished in their importance for the people of God. Why this separate issue of the Shorter Catechism? It is intended to encourage both young and old to read and memorize the sound teaching to be found here. The Catechism covers the teaching found in the Apostles Creed (included at the end of the Catechism), the Lord’s Prayer and the Ten Commandments. As Kevin Bidwell says of the first question and answer (Q1. What is the chief end of man? Man’s chief end is to glorify God, and to enjoy him forever. ), is “the product of collective genius and provides the best description of the Christian life that I have ever come across.” This version of the Shorter Catechism is very lightly modernized, and contains the full Bible references of the original. This version also appears in The Westminster Standards in Modern English by Kevin Bidwell. Kevin Bidwell is the minister of Sheffield Presbyterian Church, England. Melvin Tinker invites us to walk with Job through the confusion sufferings creates. If God is so good why are things so Bad is like a guidebook, helping us navigate through unfamiliar territory. It is a book for all those who suffer. Don’t worry, you will not be offered glib platitudes or quick fixes. Here is a context in which you can express your pain honestly. But here, too, is a context in which your questions are brought to God rather them leading you away from God. 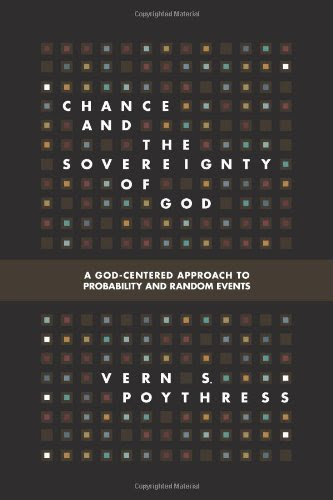 What we are offered in this book is not so much a theory or a solution, but God himself. Melvin Tinker is Vicar of St John Newland, Hull, where he has served since 1994. He is the author of numerous books and articles, including That Hideous Strength: How the West was Lost (EP Books, 2018). Melvin Tinker writes with a theologian s mind, a Biblical scholar s attention to detail and a pastor s heart to minister. Using real life stories, he puts the book of Job under life s microscope to find practical insights that help us in times of suffering. Here is a book for the valley of the absence of God, a book that can make us more compassionate in our counseling, more informed in our suffering, more faithful in our grieving, more comforted in our anguish, and more knee-prone in our worship; and it s a book with an after-life it raises matters that we, like Mary, will go on treasuring up in our hearts. And yet Melvin Tinker has cloaked these hard and heavy matters in such a clear and readable style. Whilst there are no easy answers to suffering, this book provides an invaluable framework through which to engage with the problem of pain. *If God is so good why are things so bad* is a rare combination of careful exegesis, doctrinal clarity and Christ-centred theology. 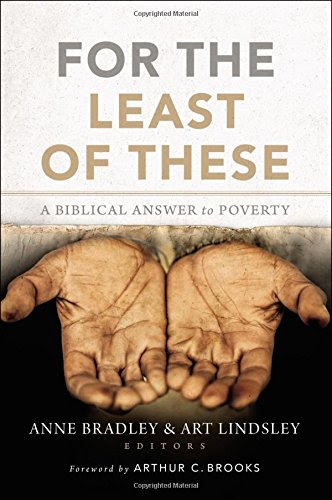 Melvin Tinker writes as someone who has clearly wrestled with the question of suffering and applies his material both as a pastorally sensitive preacher and an evangelistically compelling apologist. Christians, churches, and non-believers alike will benefit immensely from this book. If God is so Good, Why are Things so Bad? Christians are at war with an enemy who delights in rendering believers powerless, ruining their testimonies, and destroying their lives. But are we taking Satan seriously? Are we on guard against his agenda? Here respected pastor-scholars shine the light of Scripture on our ancient foe and how he operates, equipping you to “resist the devil” in the power of Christ. 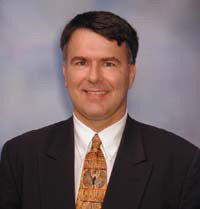 Ronald L. Kohl is the senior pastor of Grace Bible Fellowship Church in Quakertown, Pennsylvania, and serves as chairman of the annual Quakertown Conference on Reformed Theology. He has extensive experience as a sports journalist, having written for two newspapers in southeastern Pennsylvania. Our sworn enemy goes by many names. Scripture calls him our “adversary” who prowls around like a roaring lion, seeking whom he may devour. He “doth seek to work us woe””¬‚¬”and our testimonies and lives hang in the balance. Yet Christians are often ignorant of his plans, power, and even presence, and are easily caught off guard. Are we taking Satan seriously? Do we know how to stand firm against the prince of this world? Here, respected pastor-scholars shine the light of Scripture on our ancient foe, identifying who he is, explaining how he operates, exposing his deceit, and celebrating his final demise. They will equip you to more fully understand the war we are engaged in and how you can “resist the devil” in the power of Christ. Each year, the Philadelphia Conference on Reformed Theology presents speakers and subjects to strengthen the church’s faith. This carefully edited selection concentrates on our knowledge of and resistance against Satan. Is he good to others? Is he good to us? And if the answer is yes, why does it often feel like he’s so far away? God isn’t surprised by our wariness and distrust. But he has never been content to be misunderstood, either. John’s gospel tells us that God sent his Son to explain himself to us—to the distant, the wounded, the skeptical, the afflicted, the ashamed, the betrayed. Walk with Abby as she follows Jesus through the book of John. In thirteen stories, we discover piece by piece, through Jesus, who God is—and we also see thirteen very different modern-day believers awake to these truths in their own lives. These personal and biblical stories, along with further Scripture and application and discussion questions, will show us that God is for us, not against us. He will draw our hearts back to himself. Abby Ross Hutto is the director of spiritual formation at Story Presbyterian Church in Westerville, Ohio. She also works as a group leader and trainer for Parakaleo, a nonprofit that comes alongside women in ministry. You can connect with Abby at godforusministries.com. Theologically sound . . . emotionally compelling. A beacon of hope for anyone who has ever wondered if God’s love is enough. . . . Hutto shows us that no sin, struggle, or fear is beyond the power of the gospel. She has created a resource that can uniquely and individually bless people from all walks and stages of life. Abby’s genuine love for God’s beloved boy Jesus Christ imprints every page. 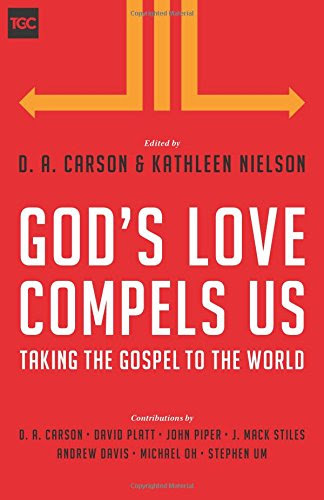 A unique book that will comfort, challenge, and compel you. . . . 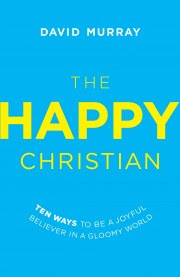 I commend this book to all who need help understanding our God’s loving heart. God for Us is a refreshingly honest look at how the challenges we face in life can overwhelm us and severely taint our view of God. With masterful grace and vulnerability, Abby draws us into these painful places and reveals how an embattled heart can find its way back into the arms of a God who has always loved us deeply and without end. I will read and recommend this book many times over. What does the Old Testament have to do with us today? 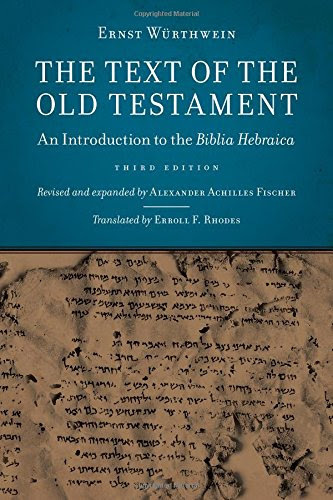 To many of us, the Old Testament can seem distant, foreign, and confusing, with difficult language and events disconnected from our present-day lives. But with a little guidance, it is quickly evident that the Old Testament still speaks today. In this engaging book, late pastor-theologian Alec Motyer leads us to discover the everyday significance of six key themes that resonate throughout the Old Testament: history, religion, worship, prophecy, wisdom, and theology. Each chapter focuses on one theme, featuring a week’s worth of Scripture readings paired with accessible commentary on the biblical text. Clear, accessible, and warmly pastoral, this book will help you see what this collection of ancient texts from the past has to do with our day-to-day lives in the present. Alec Motyer (1924–2016) served as principal of Trinity Theological College in the United Kingdom, as well as pastor of several churches in England. I have lost count of the number of times I have read this book. 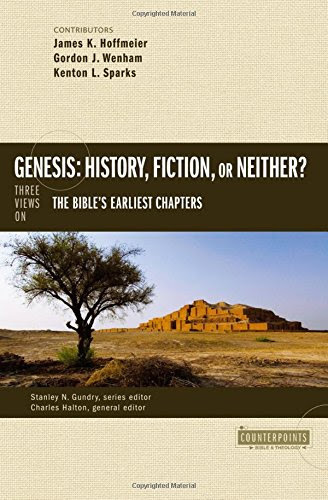 Priceless wisdom and exquisite summaries of Old Testament genres, with the added bonus of Motyer’s wit and wisdom, make this book a treasure indeed. Alec Motyer was both a princely man and a prince among Old Testament theologians, teachers, and authors. 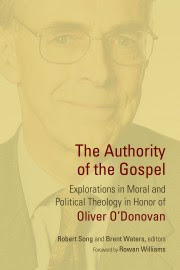 Devout and witty, scholarly and accessible, theological and commonsensical, God-honoring and Christ-centered, Spirit-illuminated and practical—he seemed to sprinkle gold dust on every page he wrote. And from seminary-trained leaders to the youngest believer, every reader can share his generosity by a little digging into 6 Ways the Old Testament Speaks Today. As a pastor convinced that Christ is the apex of God’s revelation, the “be all end all” of redemptive history, I crave to lead my people to reading material in keeping with this exalted view of Christ. In this penetrating work, John Dunn displays a robust Christology, and supplies a nourishing, green pasture upon which my people can graze. I will joyfully commend this work to my church. And I whole heartedly commend it to you as well. As you read to your profit, your heart will leap in praise as John expounds Jesus as the New Covenant Exodus! 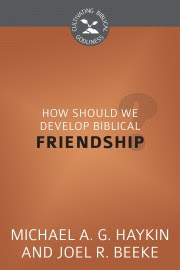 In the tradition of Gentry, Wellum, Goldsworthy, Hamilton, the Dennisons, Beale and Heather Kendall, John Dunn has provided us with a thorough understanding of the big story of the Bible via the theme of New Covenant/ New Exodus and the result is a study in the centrality of Christ throughout the Scriptures culminating in the glories of the New Covenant. 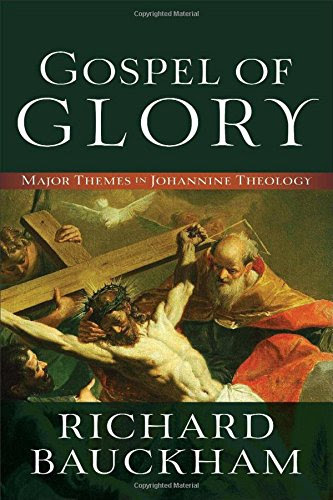 It is definitely a worthy addition to the corpus of texts concerning Biblical Theology, a discipline of study that in recent years is gaining a more prominent place in understanding the Scriptures. For those who have yet to become familiar with a more fully developed Christocentric reading of all Scripture, John Dunn succinctly captures such here. He handily demonstrates why a New Covenant/New Exodus perspective on the whole of Scripture is critical to our seeing all things biblical in the light ofChrist’s countenance. In setting forth this New Exodus framework, John’s exegetical labors provide us a puzzle-box-top, whereby the pieces readily fit into place, and without extra-biblical manipulation. What we have here in New Exodus is an unpacking of John 1:14,17; wherein the Word, full of grace and truth, becomes flesh. A Word that was revealed in Mosaic shadows has now come forth in the Glory of the Son! The original exodus painted a picture of the exodus Christ leads us on from sin and death. 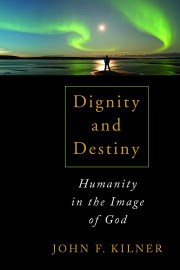 Dunn provides a poetic and deeply Christ-centered view of the more glorious exodus which we longingly look foward to. Warning! This study is for heavy lifters only. But if you love to search through God’s Word to see more of Jesus our Covenant King then prepare your heart and mind to do some serious Bible Study. 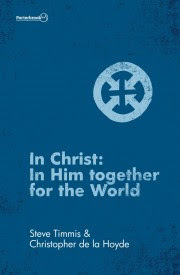 From beginning to end this study is Christ centered and Christ exalting. Be refreshed in Christ! Fourth Update: MLK50: Thabiti Anyabwile, TGC, and the ERLC of the SBC. A Bibliography. Many thanks again to our good friend Jack Jeffery – our favorite bibliographer! – for helping us track yet another online discussion. We hope this will help you keep up! MLK50: Gospel Reflections from the Mountaintop (3–4 APR 2018; Memphis, TN) at http://mlk50conference.com/ [accessed 10 APR 2018]. “MLK50: Gospel Reflections from the Mountaintop,” on The Gospel Coalition at https://www.thegospelcoalition.org/conference/mlk50/ [accessed 10 APR 2018]. Thabiti Anyabwile, “We Await Repentance for Assassinating Dr. King” (4 APR 2018), on The Gospel Coalition (TGC) at https://www.thegospelcoalition.org/blogs/thabiti-anyabwile/await-repentance-assassinating-dr-king/ [accessed 10 APR 2018]. Leonardo Blair, “Matt Chandler Calls on White Pastors to Help Fight Miseducation of White America on Blacks” (4 APR 2018), one The Christian Post (CP) at https://www.christianpost.com/news/matt-chandler-calls-white-pastors-help-fight-miseducation-of-white-america-on-blacks-222479/ [accessed 19 APR 2018]. Robert A. J. Gagnon, “Evangelicals and Martin Luther King” (4 APR 2018), on Facebook at https://www.facebook.com/notes/robert-a-j-gagnon/evangelicals-and-martin-luther-king/1913545525383217/ [accessed 19 APR 2018]. John Piper, “He Gave His Life to Change the World: Fifty Years After the Death of MLK” (4 APR 2018), on desiring God at desiring God at https://www.desiringgod.org/articles/he-gave-his-life-to-change-the-world [accessed 29 APR 2018]. Tom Krattenmaker, “Don’t Domesticate MLK” (4 APR 2018), on Red Letter Christians at https://www.redletterchristians.org/dont-domesticate-mlk/ [accessed 21 MAY 2018]. Tony Caldwell, “Break My Heart, Heal My Heart” (4 APR 2018), on Red Letter Christians at https://www.redletterchristians.org/break-my-heart-heal-my-heart/ [accessed 21 MAY 2018]. Thabiti Anyabwile, “Admitting Things” (5 APR 2018), on The Gospel Coalition at https://www.thegospelcoalition.org/blogs/thabiti-anyabwile/admitting-things/ [accessed 10 APR 2018]. News Division (unsigned), “Thabiti Anyabwile Says All Whites Are Complicit in Murdering Martin Luther King, Jr.” (5 APR 2018), on Pulpit & Pen at http://pulpitandpen.org/2018/04/05/thabiti-anyabwile-says-whites-complicit-murdering-martin-luther-king-jr/ [accessed 16 APR 2018]. Marsha West, “Grace Community Church Venue Canceled for Gospel Coalition Conference” (6 APR 2018), on Christian Research Network (CRN) at http://christianresearchnetwork.org/2018/04/06/grace-community-church-venue-canceled-for-gospel-coalition-conference/ [accessed 10 APR 2018]; from Pulpit & Pen (5 APR 2018) at http://pulpitandpen.org/2018/04/05/grace-community-church-venue-canceled-gospel-coalition-conference/ [accessed 10 APR 2018]. C. P. Kolstad, “Matt Chandler Calls Social Justice Dissenters “Ignorant Fools.” A Pastoral Evaluation of Chandler’s MLK50 Sermon” (6 APR 2018), on Post Tenebras Lux at https://preacherboy316pt2.blogspot.com/2018/04/matt-chandler-calls-social-justice.html [accessed 19 APR 2018]. Joshua Sommer, “Thabiti And TGC: A Response” (6 Apr 2018), on The Baptist Reformation at https://reformbaptist.com/2018/04/06/thabitis-social-gospel/ [accessed 10 APR 2018]. Thabiti Anyabwile, “The Myth of Impeccable Individualism” (6 APR 2018), on The Gospel Coalition at https://www.thegospelcoalition.org/blogs/thabiti-anyabwile/one-sin-must-not-confessed/ [accessed 8 MAY 2018]. Thabiti Anyabwile, “The One Sin That Must Not Be Confessed” (7 APR 2018), on The Gospel Coalition at https://www.thegospelcoalition.org/blogs/thabiti-anyabwile/one-sin-must-not-confessed/ [accessed 10 APR 2018]. Thabiti Anyabwile, “Four Ways the New Testament Identifies Ethnicity in the Church” (8 APR 2018), on The Gospel Coalition at https://www.thegospelcoalition.org/blogs/thabiti-anyabwile/four-ways-new-testament-identifies-ethnicity-church/ [accessed 10 APR 2018]. Lisa Robinson, “Because Jesus loved his body more…and so should we” (8 APR 2018), on Lisa Robinson at https://theothoughts.com/2018/04/08/because-jesus-loved-his-body-more-and-so-should-we/#more-3295 [accessed 16 APR 2018]. Robert A. J. Gagnon, “Celebrate MLK’s Civil Rights Accomplishments without Whitewashing the Sexual Immorality and Heresy that You Condemn in Trump” (8 APR 2018), on Facebook at https://www.facebook.com/notes/robert-a-j-gagnon/celebrate-mlks-civil-rights-accomplishments-without-whitewashing-the-sexual-immo/1919180558153047/ [accessed 19 APR 2018]. Thabiti Anyabwile, “ ‘Race’ and Racism Pre-Date Karl Marx” (9 APR 2018), on The Gospel Coalition at https://www.thegospelcoalition.org/blogs/thabiti-anyabwile/race-racism-pre-date-karl-marx/ [accessed 10 APR 2018]. James White, “The Racialist Lens Disrupts True Christian Unity: A Response to Thabiti Anyabwile” (9 APR 2018), on Alpha & Omega Ministries at http://www.aomin.org/aoblog/2018/04/09/the-racialist-lens-disrupts-true-christian-unity-a-response-to-thabiti-anyabwile/ [accessed 10 APR 2018]; reposted on The Gospel Coalition at https://www.thegospelcoalition.org/blogs/thabiti-anyabwile/racialist-lens-disrupts-true-christian-unity-response-thabiti-anyabwile/ [accessed 10 APR 2018]. Thabiti Anyabwile, “There Can Be No Reconciliation Where There Is No Truth-Telling First” (9 APR 2018), on The Gospel Coalition at https://www.thegospelcoalition.org/blogs/thabiti-anyabwile/can-no-reconciliation-no-truth-telling-first/ [accessed 10 APR 2018]. Thabiti Anyabwile, “Dear Douglas” (9 APR 2018), on The Gospel Coalition at https://www.thegospelcoalition.org/blogs/thabiti-anyabwile/dear-douglas/ [accessed 10 APR 2018]. Douglas Wilson, “Dear Thabiti” (9 APR 2018), on Blog & Mablog at https://dougwils.com/books-and-culture/s7-engaging-the-culture/dear-thabiti.html [accessed 10 APR 2018]. Lorine Spratt, “OPEN LETTER: Russell Moore does not represent me, a Black Christian” (9 APR 2018), posted by Will Hall on The Message at http://baptistmessage.com/open-letter-russell-moore-does-not-represent-me-as-a-black-christian/ [accessed 10 APR 2018]. 2samuel127 (Todd), “Thabiti Anyabwile and TGC Have Lost Their Way, Racial Relations Suffer a Setback” (9 APR 2018), on Thou Art The Man at https://thouarttheman.org/2018/04/09/thabiti-anyabwile-tgc-lost-way-racial-relations-suffer-setback/ [accessed 10 APR 2018]. G. Hart, “New Calvinists and Red Letter Christians Together” (9 APR 2018), on Putting the “Protest” in Protestant at http://www.patheos.com/blogs/protestprotest/2018/04/new-calvinists-and-red-letter-christians-together/ [accessed 13 APR 2018]. George Yancey, “An Abusive Relationship and Race Relations” (9 APR 2018), on Shattering Paradigms at http://www.patheos.com/blogs/shatteringparadigms/2018/04/an-abusive-relationship-and-race-relations/ [accessed 13 APR 2018]. Peter Heck, “Is Social Justice Activism Leading Black Christians Away from the Cross?” (9 APR 2018), on The Resurgent at https://www.themaven.net/theresurgent/contributors/is-social-justice-activism-leading-black-christians-away-from-the-cross-gQChDmtYhE-fQg-t2KPdWg/?full=1 [accessed 16 APR 2018]. Tom Ascol, “Racism, Sin & Scripture: A Response to Thabiti Anyabwile” (9 APR 2018), on Tom Ascol at http://tomascol.com/racism-sin-scripture-a-response-to-thabiti-anyabwile/ [accessed 18 APR 2018]. Douglas Wilson, “But Thabiti . . .” (10 APR 2018), on Blog & Mablog at https://dougwils.com/books-and-culture/s7-engaging-the-culture/but-thabiti.html [accessed 10 APR 2018]. Russell Moore, “King and Kingdom: Racial Justice and the Uneasy Conscience of American Christianity” (10 APR 2018), on Russell Moore at https://www.russellmoore.com/2018/04/10/king-and-kingdom-racial-justice-and-the-uneasy-conscience-of-american-christianity/ [accessed 10 APR 2018]. News Division (unsigned), “2018 SBC Pastors’ Conference is Affirmative Action in Action, with Predictable Result” (10 APR 2018), on Pulpit & Pen at http://pulpitandpen.org/2018/04/05/thabiti-anyabwile-says-whites-complicit-murdering-martin-luther-king-jr/ [accessed 16 APR 2018]. Jack Jenkins, “At ‘Red Letter Revival,’ Leaders Give Voice to Evangelicals on the Margins” (10 APR 2018), on Red Letter Christians at https://www.redletterchristians.org/at-red-letter-revival-leaders-give-voice-to-evangelicals-on-the-margins/ [accessed 21 MAY 2018]. Rechab Gray, “What our church staff took away from the MLK50 Conference” (11 APR 2018), on The Ethics and Religious Liberty Commission of the Southern Baptist Convention (ERLC) at https://erlc.com/resource-library/articles/what-our-church-staff-took-away-from-the-mlk50-conference [accessed 11 APR 2018]. Richard Phillips, “Is Political Agreement Necessary to Gospel Reconciliation?” (11 APR 2018), on The Gospel Coalition at https://www.thegospelcoalition.org/article/political-agreement-necessary-gospel-reconciliation/ [accessed 13 APR 2018]. Brandon Showalter, “Theologian Argues MLK50 Conference Was ‘Propaganda,’ ERLC and TGC Have Unequal Standards” (11 APR 2018), on The Christian Post (CP) at https://www.christianpost.com/news/theologian-argues-mlk50-conference-propaganda-erlc-tgc-222704/ [accessed 19 APR 2018]; reporting on Robert A. J. Gagnon, “Celebrate MLK’s Civil Rights Accomplishments without Whitewashing the Sexual Immorality and Heresy that You Condemn in Trump” (8 APR 2018), on Facebook at https://www.facebook.com/notes/robert-a-j-gagnon/celebrate-mlks-civil-rights-accomplishments-without-whitewashing-the-sexual-immo/1919180558153047/ [accessed 19 APR 2018]. Thabiti Anyabwile, “He Said, She Said” (12 APR 2018), on The Gospel Coalition at https://www.thegospelcoalition.org/blogs/thabiti-anyabwile/he-said-she-said/ [accessed 12 APR 2018]. Jesse Johnson, “I’m old enough to remember when “evangelical” was a bad word” (12 APR 2018), on the Cripplegate at http://thecripplegate.com/im-old-enough-to-remember-when-evangelical-was-a-bad-word/ [accessed 12 APR 2018]. John C. Richards, Jr., and Daniel Yang, “Preaching on Racism from the ‘White’ Pulpit: Reflections from David Platt’s Talk at T4G” (12 APR 2018), on Christianity Today (CT) at http://www.christianitytoday.com/edstetzer/2018/april/preaching-on-racism-platt.html [accessed 12 APR 2018]. G. Hart, “Has Thabiti Anyabwile Let Angela Merkel Off the Hook?” (12 APR 2018), on Putting the “Protest” in Protestant at http://www.patheos.com/blogs/protestprotest/2018/04/has-thabiti-anyabwile-let-angela-merkel-off-the-hook/ [accessed 13 APR 2018]. Michael Horton, “How the Church Gets Justice Wrong (And How To Begin Getting It Right)” (12 APR 2018), on Core Christianity at https://corechristianity.com/resource-library/articles/how-the-church-gets-justice-wrong-and-how-to-begin-getting-it-right [accessed 13 APR 2018]. Justin Giboney, and C. J. Rhodes, “Social Justice Isn’t The Problem” (12 APR 2018), on The Resurgent at https://www.themaven.net/theresurgent/community/social-justice-isn-t-the-problem-rESWEiwQ6EKGR9SkhxiBOA/?full=1 [accessed 16 APR 2018]. Randy Alcorn, “The MLK50 Conference on Why Racial Unity Is a Gospel Issue (and Some Thoughts About John Perkins)” (12 APR 2018), on Eternal Perspectives at http://www.patheos.com/blogs/randyalcorn/2018/04/mlk50-conference-john-perkins/ [accessed 18 APR 2018]. John Piper, “The Glory of Christ and Racial Unity: On the 50th Anniversary of MLK’s Death” (12 APR 2018), on desiring God at https://www.desiringgod.org/messages/the-glory-of-christ-and-racial-unity [accessed 18 APR 2018]; delivered at the MLK50 Conference in Memphis, TN on 4 APR 2018; also on The Gospel Coalition at https://www.thegospelcoalition.org/conference_media/glory-god-racial-unity/ [accessed 18 APR 2018]. Thabiti Anyabwile, “The Chicken Came First” (14 APR 2018), https://www.thegospelcoalition.org/blogs/thabiti-anyabwile/chicken-came-first/ [accessed 21 MAY 2018]. Michael-Ray Mathews, “Wakanda Forever: Cultivating Moral Imagination & Beloved Community” (14 APR 2018), on Red Letter Christians at https://www.redletterchristians.org/wakanda-forever-cultivating-moral-imagination-beloved-community/ [accessed 21 MAY 2018]. Fred Butler, “David Platt on Racism and Why Your Church is so White” (16 APR 2018), on Bible Thumping Wingnut Network (BTWN) at http://biblethumpingwingnut.com/2018/04/16/david-platt/ [accessed 16 APR 2018]. Peter Heck, “Are The Gospel Coalition and ERLC Sacrificing Integrity to be “Woke?”” (16 APR 2018), on The Resurgent at https://www.themaven.net/theresurgent/contributors/are-the-gospel-coalition-and-erlc-sacrificing-integrity-to-be-woke-BFgi3ujJjEKM4JfbskAItA/?full=1 [accessed 16 APR 2018]. Darrell B. Harrison, “The Problem is Enmity, not Ethnicity” (16 APR 2018), on Just Thinking…For Myself at https://justthinking.me/2018/04/16/the-problem-is-enmity-not-ethnicity/ [accessed 16 APR 2018]. Thabiti Anyabwile, “Woke Is . . .” (16 APR 2018), on The Gospel Coalition at https://www.thegospelcoalition.org/blogs/thabiti-anyabwile/woke-is/ [accessed 21 MAY 2018]. Yonat Shimron, “King’s Poor People’s Campaign Lives Again” (16 MAY 2018), on Red Letter Christians at https://www.redletterchristians.org/kings-poor-peoples-campaign-lives-again/ [accessed 21 MAY 2018]. Kevin DeYoung, “Racial Reconciliation: What We (Mostly, Almost) All Agree On, and What We (Likely) Still Don’t Agree On” (17 APR 2018), on The Gospel Coalition at https://www.thegospelcoalition.org/blogs/kevin-deyoung/racial-reconciliation-mostly-almost-agree-likely-still-dont-agree/ [accessed 17 APR 2018]. Conrad Mbewe, “Why There’s No Such Thing as African Christianity” (17 APR 2018), on 9Marks at https://www.9marks.org/article/why-theres-no-such-thing-as-african-christianity/ [accessed 17 APR 2018]; from the 9Marks Journal (Spring 2018) at https://www.9marks.org/journal/church-life-our-true-political-witness/ [accessed 17 APR 2018]. Isaac Adams, “More Christian than Black or White” (17 APR 2018), on 9Marks at https://www.9marks.org/article/more-christian-than-black-or-white/ [accessed 17 APR 2018]; from the 9Marks Journal (Spring 2018) at https://www.9marks.org/journal/church-life-our-true-political-witness/ [accessed 17 APR 2018]. Bruce Ashford, “More Christian Than Democrat or Republican” (17 APR 2018), on 9Marks at https://www.9marks.org/article/more-christian-than-democrat-or-republican/ [accessed 27 APR 2018]; from the 9Marks Journal (Spring 2018) at https://www.9marks.org/journal/church-life-our-true-political-witness/ [accessed 27 APR 2018]. Brian Davis, “The Dangerous Allure of Being a Cultural Warrior” (17 APR 2018), on 9Marks at https://www.9marks.org/article/the-dangerous-allure-of-being-a-cultural-warrior/ [accessed 27 APR 2018]; from the 9Marks Journal (Spring 2018) at https://www.9marks.org/journal/church-life-our-true-political-witness/ [accessed 27 APR 2018]. Philip Holmes, Peter Y. Lee, Irwyn L. Ince, and Paul Jeon, “A Symposium: How can we work toward greater ethnic unity in our churches?” (17 APR 2018), on 9Marks at https://www.9marks.org/article/a-symposium-how-can-we-work-toward-greater-ethnic-unity-in-our-churches [accessed 27 APR 2018]; from the 9Marks Journal (Spring 2018) at https://www.9marks.org/journal/church-life-our-true-political-witness/ [accessed 27 APR 2018]. Russell D. Moore, “Why Politics Overwhelms the Church” (17 APR 2018), on 9Marks at https://www.9marks.org/article/why-politics-overwhelms-the-church/ [accessed 27 APR 2018]; from the 9Marks Journal (Spring 2018) at https://www.9marks.org/journal/church-life-our-true-political-witness/ [accessed 27 APR 2018]. Jonathan Worsley, “Just A Spoonful Of Wilberforce” (17 APR 2018), on 9Marks at https://www.9marks.org/article/just-a-spoonful-of-wilberforce/ [accessed 27 APR 2018]; from the 9Marks Journal (Spring 2018) at https://www.9marks.org/journal/church-life-our-true-political-witness/ [accessed 27 APR 2018]. Thabiti Anyabwile, “Reading Jupiter Hammon” (17 APR 2018), on The Gospel Coalition at https://www.thegospelcoalition.org/blogs/thabiti-anyabwile/124214/ [accessed 21 MAY 2018]. Douglas Wilson, “The Ethnic Metrics With Which Ye Judge Ye Shall Be Judged” (19 APR 2018), on Blog & Mablog at https://dougwils.com/books-and-culture/s7-engaging-the-culture/the-ethnic-metrics-with-which-ye-judge-ye-shall-be-judged.html [accessed 23 APR 2018]. Thabiti Anyabwile, “That Would Put Us at 1888” (23 APR 2018), on The Gospel Coalition at https://www.thegospelcoalition.org/blogs/thabiti-anyabwile/put-us-1888/ [accessed 21 MAY 2018]. Thabiti Anyabwile, “What Can I Do? / What Do You Want?” (24 APR 2018), on The Gospel Coalition at https://www.thegospelcoalition.org/blogs/thabiti-anyabwile/what-can-i-do-what-do-you-want/ [accessed 21 MAY 2018]. Douglas Wilson, “Starbucks and Identity Politics” (25 APR 2018), on Blog & Mablog at https://dougwils.com/books-and-culture/s7-engaging-the-culture/starbucks-and-identity-politics.html [27 APR 2018]. Thabiti Anyabwile, “Hijacking Repentance” (25 APR 2018), on The Gospel Coalition at https://www.thegospelcoalition.org/blogs/thabiti-anyabwile/hijacking-repentance/ [accessed 21 MAY 2018]. 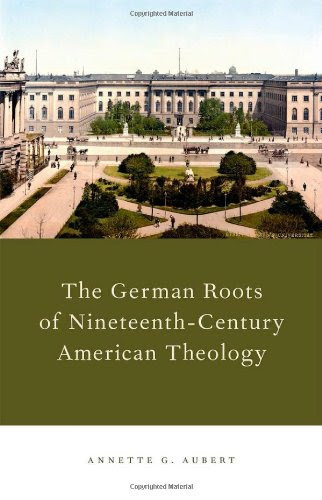 D. G. Hart, “Another Take on the EIGHTY–ONE PERCENT” (26 APR 2018), on Putting the “Protest” in Protestant at http://www.patheos.com/blogs/protestprotest/2018/04/another-take-on-the-eighty-one-percent/ [27 APR 2018]. Jonathan Wilson-Hartgrove, “In the age of Trump, a moment of decision for Evangelicals” (26 APR 2018), on The Herald-Sun (Durham, NC) at http://www.heraldsun.com/opinion/article209847194.html [accessed 21 MAY 2018]; reposted as “Moment of Decision for Evangelicals” (27 APR 2018), on Red Letter Christians at https://www.redletterchristians.org/moment-of-decision-for-evangelicals/ [accessed 21 MAY 2018]. Ligon Duncan, “Defending the Faith; Denying the Image – 19th Century American Confessional Calvinism in Faithfulness and Failure [Abstract]” (27 APR 2018), on Ligon Duncan at http://ligonduncan.com/defending-the-faith-denying-the-image-19th-century-american-confessional-calvinism-in-faithfulness-and-failure/ [accessed 28 APR 2018]. Samuel Sey, “Moses or Marx?” (27 APR 2018), on Slow To Write at https://slowtowrite.com/moses-or-marx/ [accessed 28 APR 2018]. David Appelt, “Guidelines for Conversations About Race in the Church” (27 APR 2018), on The Reformed Collective at http://reformedcollective.com/2018/04/27/guidelines-conversations-race-church/ [accessed 8 MAY 2018]. Fred Zaspel, “Reversing the Gospel: Warfield on Race and Racism” (28 APR 2018), on The Gospel Coalition at https://www.thegospelcoalition.org/article/reversing-gospel-warfield-race-racism/ [accessed 28 APR 2018]; article excerpt from Themelios 43:1 (APR 2018), pp. 25-33; on Themelios at http://themelios.thegospelcoalition.org/article/reversing-the-gospel-warfield-on-race-and-racism [accessed 28 APR 2018]. Douglas Wilson, “Salvation and Slavery” (30 APR 2018), on on Blog & Mablog at https://dougwils.com/books-and-culture/s7-engaging-the-culture/salvation-and-slavery.html [accessed 18 MAY 2018]. Thabiti Anyabwile, “Whose Evangelicalism?” (30 APR 2018), on The Gospel Coalition at https://www.thegospelcoalition.org/blogs/thabiti-anyabwile/whose-evangelicalism/ [accessed 21 MAY 2018]. Peter Heltzel, “Stay at the Table: James Cone, Racism, & American Evangelicalism” (1 MAY 2018), on Red Letter Christians at https://www.redletterchristians.org/stay-at-the-table-james-cone-racism-american-evangelicalism/ [accessed 21 MAY 2018]. Samuel Sey, “Black Liberation Theology and Woke Christianity” (5 MAY 2018), on Slow To Write at https://slowtowrite.com/black-liberation-theology-and-woke-christianity/ [accessed 7 MAY 2018]. Phillip R. Johnson, “In Which I Make Some Concessions to Thabiti Anyabwile” (undated) on Romans 4:5 at http://www.romans45.org/misc/Thabiti.pdf [accessed 8 MAY 2018]. Jonathan Merritt, “How American Christians Can Break Free from ‘Slaveholder Religion’” (8 MAY 2018), interview with Jonathan Wilson-Hartgrove, author of Reconstructing the Gospel: Finding Freedom from Slaveholder Religion (IVP, 2018); on Red Letter Christians at https://www.redletterchristians.org/how-american-christians-can-break-free-from-slaveholder-religion/ [accessed 8 MAY 2018]; a modified interview from Merritt’s 2 MAY 2018 column (same title) on Religion News Service at https://religionnews.com/2018/05/02/how-american-christians-can-break-free-from-slaveholder-religion/ [accessed 8 MAY 2018]. Kim Parker, “Decoding Social Justice Warrior Language” (11 MAY 2018), on East Meets West Social Worker with Kim Parker at http://www.patheos.com/blogs/eastmeetswestsocialworker/2018/05/decoding-social-justice-warrior-language-for-racial-reconciliation/ [accessed 16 MAY 2018]. Douglas Wilson, “The Beauty of Discrimination” (14 MAY 2018), on Blog & Mablog at https://dougwils.com/books-and-culture/s7-engaging-the-culture/the-beauty-of-discrimination.html [accessed 18 MAY 2018]. Thabiti Anyabwile, “The Cost of Unity” (14 MAY 2018), on The Gospel Coalition at https://www.thegospelcoalition.org/blogs/thabiti-anyabwile/the-cost-of-unity/ [accessed 21 MAY 2018]. Thabiti Anyabwile, “When Color Blind Is Truth Blind” (15 MAY 2018), on The Gospel Coalition at https://www.thegospelcoalition.org/blogs/thabiti-anyabwile/color-blind-truth-blind/ [accessed 21 MAY 2018]. Thabiti Anyabwile, “Reconciliation Looks Like . . .” (16 MAY 2018), on The Gospel Coalition at https://www.thegospelcoalition.org/blogs/thabiti-anyabwile/reconciliation-looks-like/ [accessed 21 MAY 2018]. Douglas Wilson, “With a Bit of Menthol” (9 MAR 2013), on Blog & Mablog at https://dougwils.com/books/with-a-bit-of-menthol.html [accessed 10 APR 2018]. Thabiti Anyabwile, “Why Respond Publicly to Douglas Wilson’s “Black and Tan”?” (12 MAR 2013), on The Gospel Coalition at https://www.thegospelcoalition.org/blogs/thabiti-anyabwile/why-respond-publicly-to-douglas-wilsons-black-and-tan/ [accessed 10 APR 2018]. Thabiti Anyabwile, “Doug Wilson’s Views on Race, Racism, Slavery and the Bible” (13 MAR 2013), on The Gospel Coalition at https://www.thegospelcoalition.org/blogs/thabiti-anyabwile/doug-wilsons-views-on-race-racism-slavery-and-the-bible/ [accessed 10 APR 2018]. Douglas Wilson, “Patrick “Nostradamus” Henry” (14 MAR 2013), on Blog & Mablog at https://dougwils.com/books/patrickt-qnostradamusq-henry.html [accessed 10 APR 2018]. Thabiti Anyabwile, “Does the Driving Logic of “Black and Tan” Hold Up?” (14 MAR 2013), on The Gospel Coalition at https://www.thegospelcoalition.org/blogs/thabiti-anyabwile/does-the-driving-logic-of-black-and-tan-hold-up/ [accessed 10 APR 2018]. Thabiti Anyabwile, “Slavery and the Bible: The Perspective of This Abolitionist” (15 MAR 2013), on The Gospel Coalition at https://www.thegospelcoalition.org/blogs/thabiti-anyabwile/slavery-and-the-bible-the-perspective-of-this-abolitionist/ [accessed 10 APR 2018]. Douglas Wilson, “Love Is Never Later” (15 MAR 2013), on Blog & Mablog at https://dougwils.com/books/love-is-never-later.html [accessed 10 APR 2018]. Douglas Wilson, “How Koinonia Conquers” (15 MAR 2013), on Blog & Mablog at https://dougwils.com/books/how-koinonia-conquers.html [accessed 10 APR 2018]. Thabiti Anyabwile, “Sometimes the Exceptions Reveal How Far We’ve Gone with the Rule” (18 MAR 2013), on The Gospel Coalition at https://www.thegospelcoalition.org/blogs/thabiti-anyabwile/sometimes-the-exceptions-reveal-how-far-weve-gone-with-the-rule/ [accessed 10 APR 2018]. Douglas Wilson, “The Designated Ambition Pole” (18 MAR 2013), on Blog & Mablog at https://dougwils.com/books/the-designated-ambition-pole.html [accessed 10 APR 2018]. Douglas Wilson, “Adoni-bezek’s Thumbs and Toes” (19 MAR 2013), on Blog & Mablog at https://dougwils.com/books/adoni-bezeks-thumbs-and-toes.html [accessed 10 APR 2018]. Thabiti Anyabwile, “The Cost of Our Chosen Entanglements” (20 MAR 2013), on The Gospel Coalition at https://www.thegospelcoalition.org/blogs/thabiti-anyabwile/the-cost-of-our-chosen-entanglements/ [accessed 10 APR 2018]. Douglas Wilson, “Water is Thicker Than Blood” (20 MAR 2013), on Blog & Mablog at https://dougwils.com/books/water-is-thicker-than-blood.html [accessed 10 APR 2018]. Douglas Wilson, “Resisting the Slavers” (20 MAR 2013), on Blog & Mablog at https://dougwils.com/books/resisting-the-slavers.html [accessed 10 APR 2018]. Thabiti Anyabwile, “The Histories of the American South: A Caution against Hegemonies” (25 MAR 2013), on The Gospel Coalition at https://www.thegospelcoalition.org/blogs/thabiti-anyabwile/the-histories-of-the-american-south-a-caution-against-hegemonies/ [accessed 10 APR 2018]. Douglas Wilson, “With Jello in My Hair” (26 MAR 2013), on Blog & Mablog at https://dougwils.com/books/with-jello-in-my-hair.html [accessed 10 APR 2018]. Thabiti Anyabwile, “Another Point Where Wilson and I Almost Entirely Agree: On Doing History and Multiculturalism” (26 MAR 2013), on The Gospel Coalition at https://www.thegospelcoalition.org/blogs/thabiti-anyabwile/another-point-where-wilson-and-i-almost-entirely-agree-on-doing-history-and-multiculturalism/ [accessed 10 APR 2018]. Douglas Wilson, “A Good Luck Wave Won’t Cut It” (27 MAR 2013), on Blog & Mablog at https://dougwils.com/books/a-good-luck-wave-wont-cut-it.html [accessed 10 APR 2018]. Thabiti Anyabwile, “Illustrating “Racial Insensitivity” in Black and Tan” (27 MAR 2013), on The Gospel Coalition at https://www.thegospelcoalition.org/blogs/thabiti-anyabwile/illustrating-racial-insensitivity-in-black-and-tan/ [accessed 10 APR 2018]. Douglas Wilson, “Harder Than It Looks” (28 MAR 2013), on Blog & Mablog at https://dougwils.com/books/harder-than-it-looks.html [accessed 10 APR 2018]. Douglas Wilson, “A Theology of Apology” (28 MAR 2013), on Blog & Mablog at https://dougwils.com/books/a-theology-of-apology.html [accessed 10 APR 2018]. Thabiti Anyabwile, “I Can Be Insensitive, Too” (29 MAR 2013), on The Gospel Coalition at https://www.thegospelcoalition.org/blogs/thabiti-anyabwile/i-can-be-insensitive-too/ [accessed 10 APR 2018]. Thabiti Anyabwile, “Once More Into the Breach: Pushing Toward Reconciliation” (29 MAR 2013), on The Gospel Coalition at https://www.thegospelcoalition.org/blogs/thabiti-anyabwile/once-more-into-the-breach-pushing-toward-reconciliation/ [accessed 10 APR 2018]. Thabiti Anyabwile, “Oh, So Close… And Yet So Far Away” (30 MAR 2013), on The Gospel Coalition at https://www.thegospelcoalition.org/blogs/thabiti-anyabwile/oh-so-close-and-yet-so-far-away/ [accessed 10 APR 2018]. Douglas Wilson, “Trigger Alert Study Bible” (30 MAR 2013), on Blog & Mablog at https://dougwils.com/books/trigger-alert-study-bible.html [accessed 10 APR 2018]. Douglas Wilson, “Another Rose Hedge Awaits” (30 MAR 2013), on Blog & Mablog at https://dougwils.com/books/another-rose-hedge-awaits.html [accessed 10 APR 2018]. Douglas Wilson, “Hecklers Gonna Heck” (1 APR 2013), on Blog & Mablog at https://dougwils.com/books/hecklers-gonna-heck.html [accessed 10 APR 2018]. Thabiti Anyabwile, “A “Black and Tan” Round-Up” (2 APR 2013), on The Gospel Coalition at https://www.thegospelcoalition.org/blogs/thabiti-anyabwile/a-black-and-tan-round-up/ [accessed 10 APR 2018]. Douglas Wilson, “A Final Wrap-Up: Thabiti Anyabwile and Douglas Wilson” (19 APR 2013), on Blog & Mablog at https://dougwils.com/books/a-final-wrap-up-thabiti-anyabwile-and-douglas-wilson.html [accessed 10 APR 2018]. Douglas Wilson, “Sincere Public Apologies” (7 OCT 2013), on Blog & Mablog at https://dougwils.com/books-and-culture/s7-engaging-the-culture/sincere-public-apologies.html [accessed 10 APR 2018]. Douglas Wilson, “On Dodging the Flaming Hailstones” (2 AUG 2016), on Blog & Mablog at https://dougwils.com/books-and-culture/s7-engaging-the-culture/dodging-flaming-hailstones.html [accessed 10 APR 2018]. Thabiti Anyabwile, “Apologies, Clarifications, and Slavery” (3 AUG 2016), on The Gospel Coalition at https://www.thegospelcoalition.org/blogs/thabiti-anyabwile/apologies-clarifications-and-slavery/ [accessed 10 APR 2018]. Douglas Wilson, “Thabiti and Thanks” (4 AUG 2016), on Blog & Mablog at https://dougwils.com/books-and-culture/s7-engaging-the-culture/thabiti-and-thanks.html [accessed 10 APR 2018]. Douglas Wilson, “On Not Blowing Sunshine” (15 AUG 2016), on Blog & Mablog at https://dougwils.com/books-and-culture/s7-engaging-the-culture/not-blowing-sunshine.html [accessed 10 APR 2018]. By “Recent” is meant the 3-4 APR 2018 MLK50 conference documented in the first entry, and subsequent interaction precipitated by that conference. Related posts from 2013 and 2016 are included under “Back Story” below. Linked to J. D. Hall’s Polemics Report at http://polemicsreport.com/. This is the abstract of Duncan’s preconference talk at T4G 2018. Source: “Ligon Duncan” on Twitter at https://twitter.com/LigonDuncan/status/989962248746622976 [accessed 28 APR 2018]. The abstract contains an extensive list of resources including links to online material, books, essays, articles, documents, resolutions, and videos. The audio (39:49; 36 mb) is on T4G at http://t4g.org/media/2018/04/19th-century-defending-faith-denying-image/ [accessed 28 APR 2018]. Also involved in this discussion is the volume that Thabiti Anyabwile refers to as the “prequel”: Douglas Wilson, and Steve Wilkins, Southern Slavery: As It Was (Moscow, ID: Canon, 1996). Thabiti’s reference to this as the prequel is in his “A ‘Black and Tan’ Round-Up” (2 APR 2013), on The Gospel Coalition at https://www.thegospelcoalition.org/blogs/thabiti-anyabwile/a-black-and-tan-round-up/ [accessed 10 APR 2018]. Delightful, provocative reading. Highly recommended. 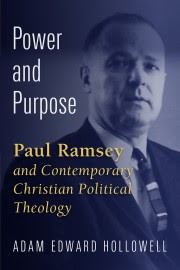 All of the essays and shorter pieces in this volume are drawn from the work I have done over the last five or six years for various evangelical groups in Great Britain and Europe, and they therefore represent something of an eclectic mix, dealing with issues from television to worship. If they have a unity it is perhaps that provided either by my concern to avoid selling out our evangelical birthright to every wind of cultural criticism or trendy new idea that comes our way – I am convinced that Christianity, as an historical religion, needs to listen very carefully to its history in order to build on past strengths and avoid repetition of past mistakes – or by my desire always to provoke readers not only into thinking for themselves but, above all, into having an opinion about things that matter. Too many today sit on the moral and theological fence; too few have any strong opinions about anything. That is why so often theological and ecclesiastical discussion in evangelical circles goes by default, with nobody having clear enough convictions about anything to engage in real discussion. This is not helped, of course, by the increasing tendency in evangelical circles to ape American linguini-spine culture and to regard disagreement with anyone on anything in our allegedly postmodern world as always inherently oppressive. Some evangelicals, indeed, seem to think that the whole point of having a debate is – well, just to have a debate, a conversation, and then to agree to differ as we all sit around having a mutually affirming, self-congratulatory love-fest. I say that such a view is total rubbish. As the late Frankie Howerd would have said, ‘Nay, nay, thrice nay!’ The point of a debate, as Paul so clearly demonstrates time and again in the Book of Acts, is to establish which position is best; and yes, I for one am still so hopelessly in thrall to modernism, as my relativist critics will no doubt allege, as to believe that some positions (e.g., sacrificing my children to Molech) are not as good as others (e.g., bringing them up to love and fear the Lord), no matter where you may be in the world, and no matter to which culture you happen to belong. That is why I write the way I do – love what I say, hate what I say, either are acceptable responses; but please try not to be indifferent to what I say. Indifference, the plague of modern Western culture in general and evangelicalism in particular, is at best the result of intellectual laziness, at worst a sign of moral abdication…. Yet, for all of the lacunae I now see as I reread them, I still basically stand by what these pieces essentially say; and I still think a combination of plain speaking, occasional over-statement, and black humour is the best way to provoke people to think for themselves. It has always served me well in the classroom; I hope it does so here. The Undoing of the Reformation? Theology and the Church: Divorce or Remarriage? Historic Christianity and the Federal Vision by Dewey Roberts is a response to a new twist on the old problem of legalism and a defense of the unchanging gospel. The Federal Vision teaches salvation by both moral works and ceremonial works. It is leading the church back into Catholicism and the views opposed by the Protestant reformers. The author carefully exposes and dismantles the views of the Federal Vision in twenty-two distinct chapters. The false teachings of the Federal Vision on regeneration, grace, baptism, justification by faith, perseverance, election, and several others are elucidated herein. This is a marvelous critique of the Federal Vision heresy and an outstanding piece of writing. The armies are at the gates of the City of God today. But there are watchmen awake and alert who have not been bought by the smiles of the enemies. So this book is essential and gripping reading. The power of the Federal Vision has been that it has drawn extraordinarily gifted ministers, many of them being young ministers, filled with commendable enthusiasm for the things of God, as well as hard-working older shepherds who have grown understandably discontent with the vacuous pop-worship and dry-creek-bed-evangelicalism of the day. I am thankful to commend this book. Dewey, is the right man at the right time to shed Gospel light on the shadows encircling the question and subsidiary questions of the Federal Vision. Find out more and read a sample chapter HERE. Greetings from Books At a Glance! If you haven’t seen this new series from Crossway yet with Goldsworthy’s volume on the Son of God and the New Creation, make sure you check it out, or read our summary! There are too many resources to name from this week, so take a glance below. Visit Books at a Glance for important promotions and sales information. 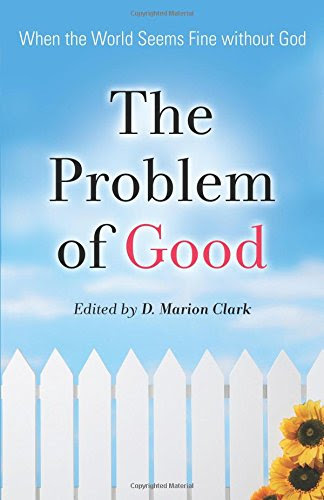 Our summary for the week was on the problem of good (that’s right, not the problem of evil). 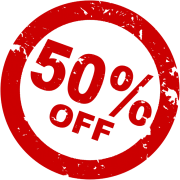 We have a storehouse of other great resources in case you missed them, including a big sale on Exegetical Tools’ Colossians Greek Reading Videos. Check it all out below!